Democrat Phil Weiser defeated Republican George Brauchler in the race for Colorado’s open attorney general seat – ensuring a sweep of the state’s top offices for Democrats. 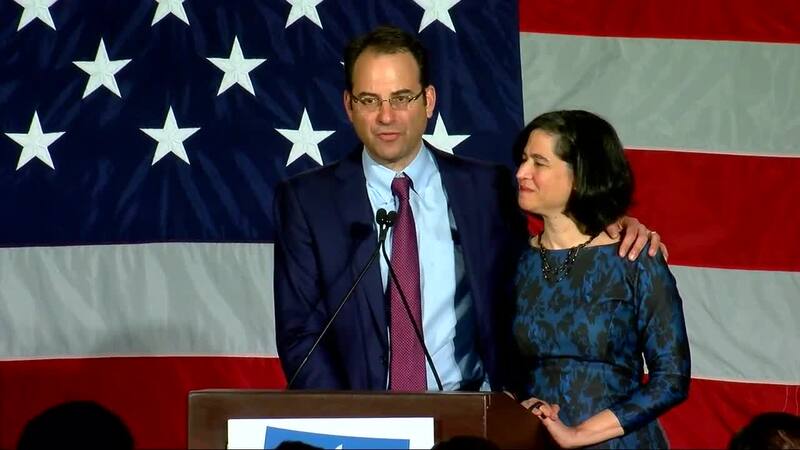 DENVER – Democrat Phil Weiser defeated Republican George Brauchler in the race for Colorado’s open attorney general seat – ensuring a sweep of the state’s top offices for Democrats. Brauchler, the 18th Judicial District Attorney who is seen as a rising star in Colorado’s Republican Party, called Weiser around 9 a.m. to concede the race, he told Denver7. He declined to concede Tuesday night, saying he wanted to wait for more results to come in. Weiser defeated Brauchler 49.7 percent to 47.5 percent, according to Wednesday morning numbers from the Colorado Secretary of State’s Office. 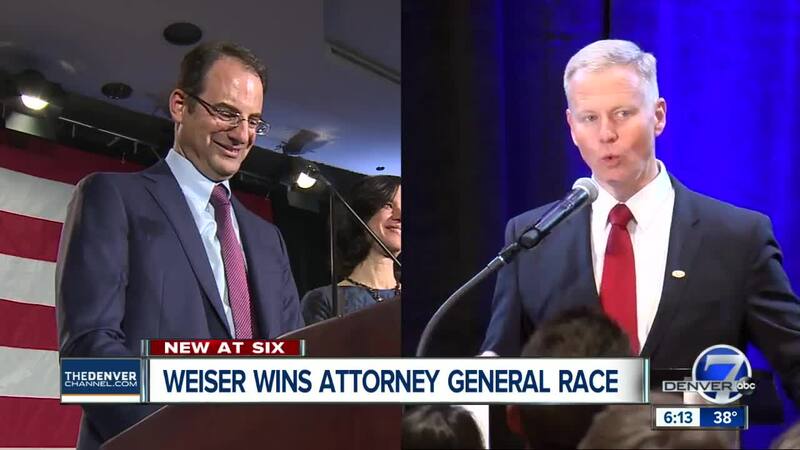 “We made clear that we needed a stronger attorney general, that we needed a fairer attorney general, and yes, a ‘Weiser’ attorney general,” he said. Brauchler gave credited to Weiser and his team for their campaign in an interview with Denver7 Wednesday, and said he felt that Colorado was "more bluish today than ever in my lifetime." Weiser said he believed voters saw that he had a winning message and he felt confident and inspired heading into Election Day. He is a law professor and former adviser in the Justice Department and White House who touted those credentials and a want to stand up for issues important to Coloradans during his campaign. Brauchler, perhaps most well-known for his prosecution of the Aurora theater shooter, had said his courtroom experience would be invaluable to Colorado had he been elected. Weiser will replace Republican Cynthia Coffman, who did not run for a second term, opting instead to seek the Republican nomination in the governor’s race primary—an attempt that flamed out during the state assembly. Brauchler had also briefly run for governor before announcing he was seeking the attorney general’s office. Brauchler said he would try and "get his life back together" after an 18-month campaign before deciding what to do next. He said the Republican Party should watch Democrats closely for the next two years as they control the major state offices and General Assembly. But he said he didn't think Tuesday was the end for the Republican Party in Colorado. "I don't think the GOP is done by any stretch, but I do think they need to do some serious soul-searching because it was a loss top-to-bottom," Brauchler said. Weiser’s victory means Democrats took the Colorado governor’s office, secretary of state’s office, treasurer’s office, attorney general’s office and the state Senate in Tuesday’s election.